YooLa’s crocheted wire jewelry are on MustHave 2011 !!! I don’t want this month to end ! 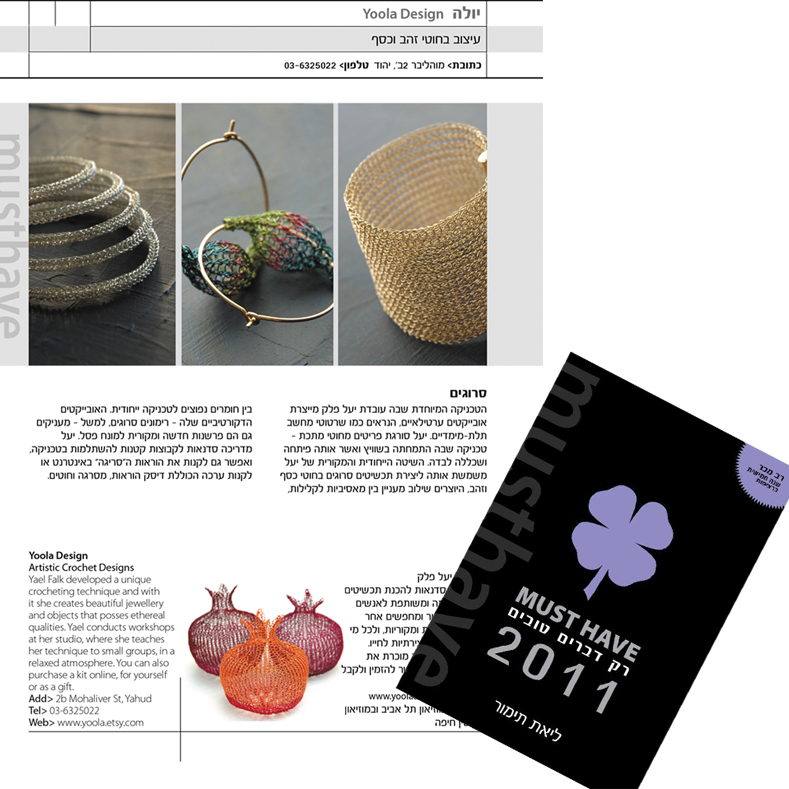 so many exciting things happening with my crocheted wire jewelry.Yoola is featured on MustHave 2011, my copies just arrived….. I can only imagine how many people are going to flip through the pages and get to know me….Its a wonderful soft cover booklet with many treasuries that I must try, no wonder its called must have It can be found in book shops or you could buy it directly from me, I have a couple of copies for sale, email me for details.